Denver Print Company has mastered the art of printing on pullovers and hoodies. We produce great looking apparel for local companies, t-shirt brands, dispensaries, snowboard and ski makers, as well as some of the most popular ski resorts in Colorado. Printing on a hoodie or zip-up is not easy and the learning curve can be quite expensive. 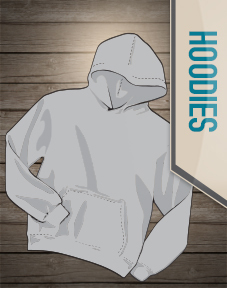 With over 8 years of experience printing on hoodies, DPC has created custom tools that allow for quick clean prints ever single time. It has helped solidify us and the go-to pull over print shop in Denver. We prefer printing on Gildan thick hoodies and zip ups for their long lasting material, great pattern and how well the garment takes inks. Gildan offers a variety of basic colors and sizes, small to double extra large. Fabric colors include white, black, blue, red, green, yellow, brown and gray. More brands and colors are available. Customized Hoodies are great giveaways. They come at a higher price point, but when a customer or event-goer receives a custom printed hoodie they are guaranteed to hold on to it. Trying to start a custom clothing line but need a little help getting your designs print ready? Have some cool ideas for a shirt or hoodie but don’t have the technical skills to produce print ready files? Let DPC help with all of your design needs. With over 8 years of graphic design experience, our dedicated team can design and print amazing looking designs based on your ideas. We specialize in multi-color and single color designs. Get the most out of your custom t-shirt printing with a professionally designed graphic from Denver Print Company.